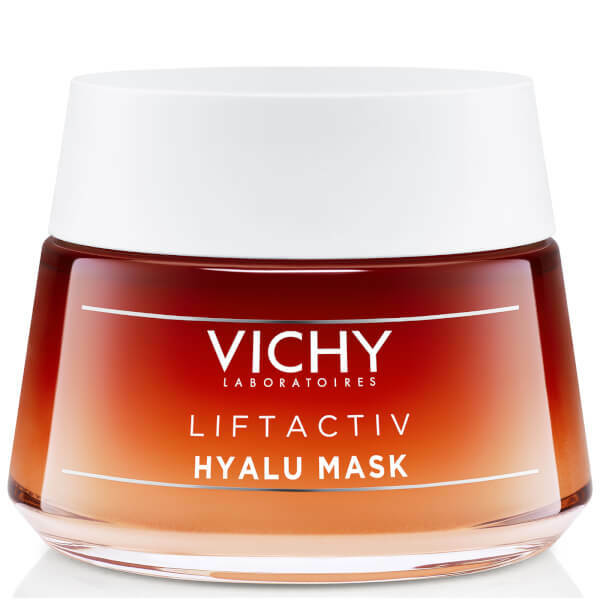 Plump and revive tired skin with Vichy LiftActiv Hyalu Mask, an intensely moisturising face mask enriched with a high concentration of high and low weight Hyaluronic Acid. 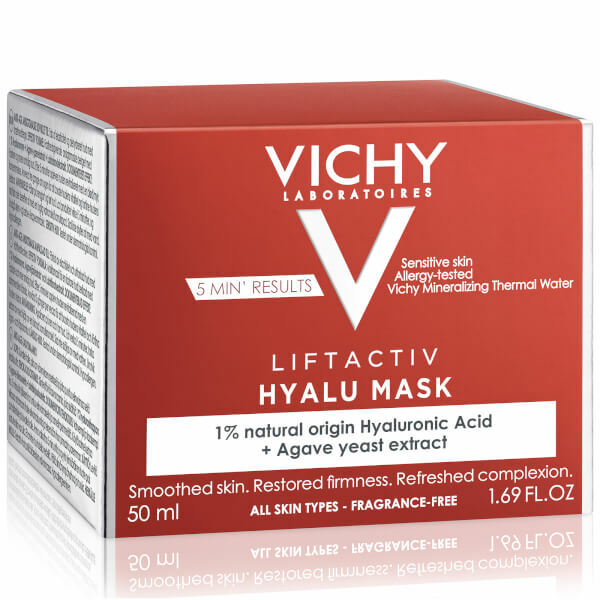 Inspired by the new generation of aesthetic procedures, the fresh, translucent mask delivers an injection-strength dose of Hyaluronic Acid to plump skin with moisture, reduce the appearance of fine lines and even out skin's tone. 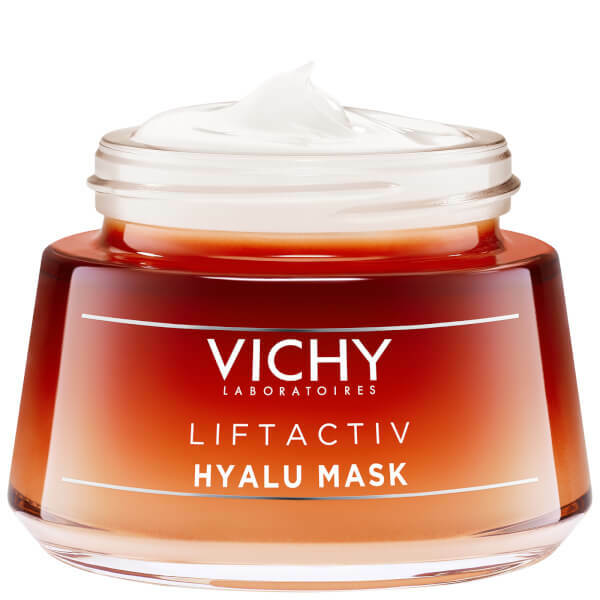 Recovering skin from tiredness in just five minutes, the mask glides effortlessly on and melts comfortably in, revealing a fresh, glowing and healthy-looking complexion with enhanced suppleness and radiance. Features appear relaxed and rested. Apply a thin layer to skin for 5 minutes. Use a damp cloth to gently remove excess. Do not rinse. 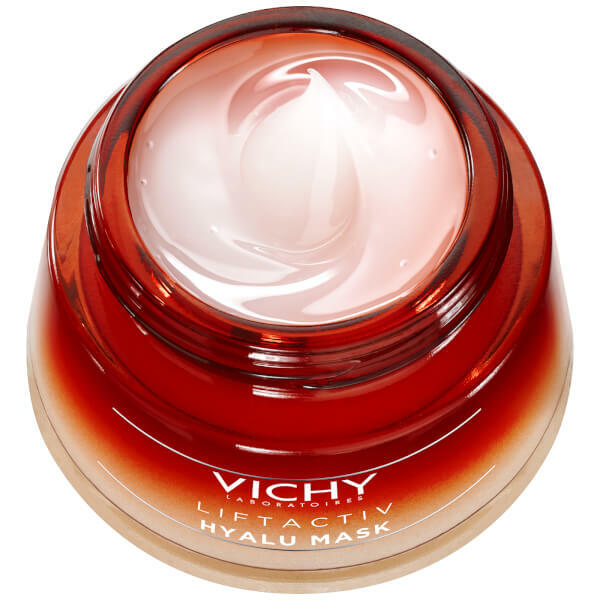 Follow up if a cream if desired. 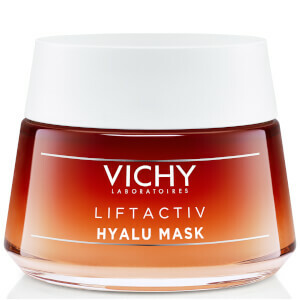 Use up to 3 times a week at night.